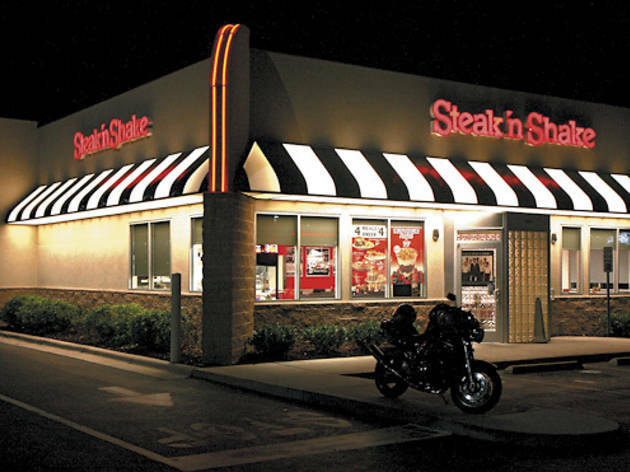 No Chicago Steak ‘n Shake | What’s up with that? Worldwide icon-chevron-right North America icon-chevron-right United States icon-chevron-right Illinois icon-chevron-right Chicago icon-chevron-right No Chicago Steak ‘n Shake | What’s up with that? Why you can’t get a Steakburger inside the city limits. I saw Uptown is getting Chicago’s first Sonic fast-food location. 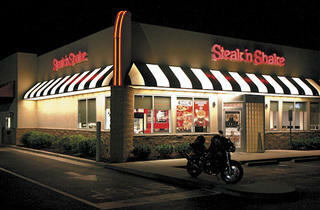 Which just underscores the fact that the city still doesn’t have one location of Steak ‘n Shake! Why hasn’t this happened yet? A “quick service” Steak ‘n Shake opened in Times Square last year with a counter-service-only format. That concept, with an estimated $2 million start-up cost, is a possibility downtown, Andereck says. “But there has to be a millionaire in Chicago who wants to do that.” So until a moneybags entrepreneur steps up, you’ll have to head to Evanston or Rosemont for a Steakburger fix.